Every homeowner would be delighted to own a quality pressure washer. Because most of them use their pressure washer on a regular basis, it is no surprise that the pump will fail sometime. And once it happens, you have to replace it immediately to get your pressure washer back to life. Now you can upgrade your old water pressure with this Ezzy Pump Homelite Universal Pressure Washer Pump. It offers 2800 PSI 2.5 GPM that can fit a variety of traditional pressure washer that you would most likely have in your household. Instead of buying expensive replacement pumps in physical stores, you should consider this model instead. 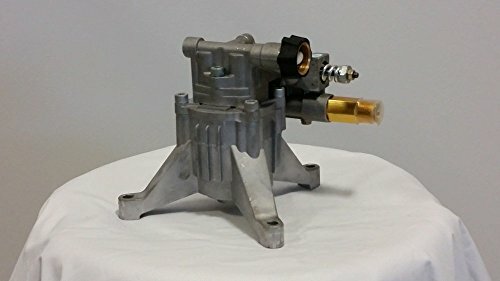 This pump is built to fit numerous models including the Honda engine. It only weighs 5.8 pounds, and yet, it’s one of the most powerful pumps in the market as it can pump with higher gallons per minute. Replacement is a breeze. You can either do it by yourself or hire a professional to do so. 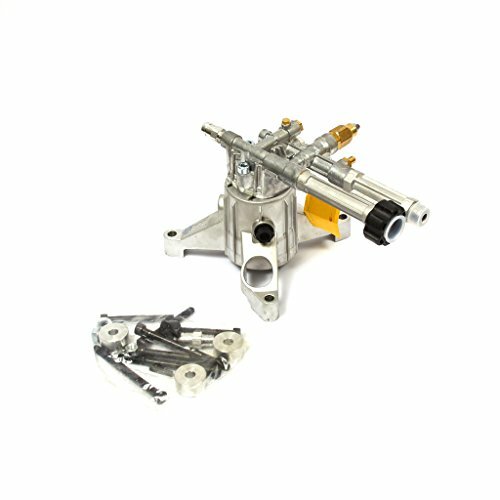 The Troy Bilt Complete Pump Head Assy is a budget-friendly choice for most homeowners. The pump is engineered to fit the RMW2.2G24 pumps. Everything you will need—the seals, unloader, check valves, chemical injector, EZ start valve, inlet and outlet tubes, and thermal valves are included in the package. Verify that the pistons are in motion in the crankcase and if they are using this head. This pump fits both the standard (all labeled as EZ) and the EZ-SX version of the pump. Hence, if you have RMW2G20, RMW2G23, RMW2G24, RMW2.5G28 or SRMW2.4G28, this head will not work so take note of that. This pump is the most reliable quick fix for your broken pumps before. If you are on a budget, you might want to check out the Simpson Cleaning direct drive vertical axial pump. 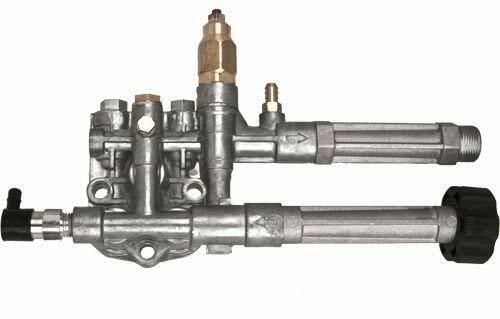 It has ¾-inch shaft, thermal relief valve, SAE gas engine flange, and threaded M22 pump outlet connection. This pump is engineered to fit most of the models of pressure washer for optimal convenience. However, we still recommend you double check your model before proceeding to checkout. Thanks to its precise, polished stainless steel piston, you can improve the seal life of this pump. The dual oversized radial ball bearings are made for better wear and tear. It also serves as a friction resistance. This pump has a built-in unloader with the easy-start feature. It’s pre-sealed with oil inside the pump. We also have the Annovi Reverberi North America Vertical Axial Radial Pressure Washer Pump. IT features 2.2 GPM at 2,400 PSI and spins up to 3,400 RPM. 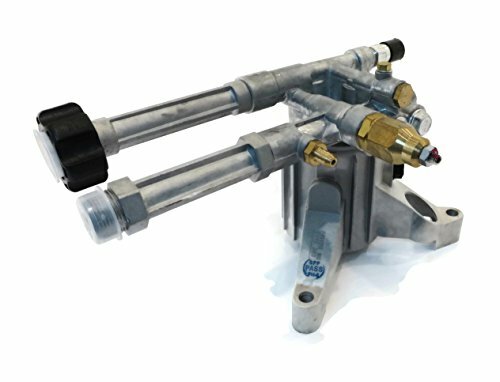 You can install this pump directly unto the engine shaft with the help of its keyed hollow shaft connection system. This pump also has three-piston alternating volumetric pumps that you can use in cleaning the unit. It can also be used in different types of motors. The pistons are made of hardened and tempered steel, driven by a swashplate mechanism. This pump features an integrated pressure control valve, downstream chemical injection system, EZ start valve, and thermal relief valve for optimal convenience. The pump is engineered to fit most vertical gas engine driven units. Its mounting flange can provide a hassle-free connection to most 7/8-inch diameter shaft vertical gas engines in 4-7 HP and fist most OEM carts. Another product from Annovi Reverberi, we have the North America vertical axial radial pressure washer pump. At 2,400 PSI, it has 2.2 GPM and can spin up to 3,400 ROM. Similar to the previous product we’ve reviewed, you can install this pump directly unto the engine shaft. It also features a keyed hollow shaft connection system for hassle-free operation. The body of the pump is made of die-cast aluminum alloy, two bearing systems that can support the shaft of the pump. It also has three-piston alternating volumetric pumps that can be used when cleaning units or other types of motors. An integrated pressure control valve, downstream chemical injection system, EZ start valve, and the thermal relief valve is also present in this pump. In that way, you’ll be able to get the most out of it in a hassle-free operation. The pump is designed for vertical gas engine driven units. Its mounting flange allows you to connect to a 7/8-inch diameter shaft vertical gas engines for a smooth and trouble-free connection. 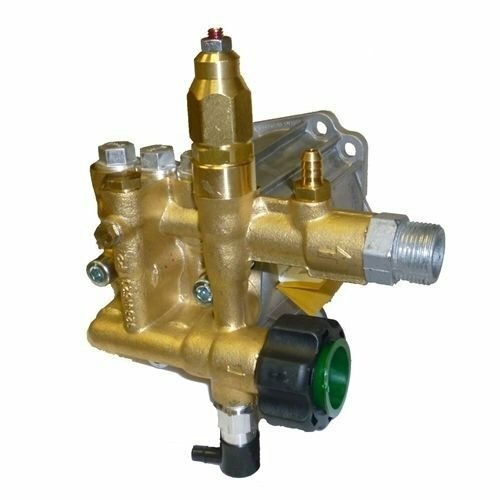 You might want to check the Homelite Universal 3000 PSI pressure washer water pump for Honda Generac, Husky, and among other models. This all-new pressure washer pump is made of most robust materials that can serve you for many years to come. It has 2.4 GPM at a 3400 PSI and maximum of 2.5 GPM. This pump features a flat brass head that can withstand even the harshest conditions. Buyers who purchased this quality OEM part can enjoy up to one-year warranty. Best of all, this model is one of the most affordable pressure washers pumps available in the market today. Another product from Annovi Reverberi, we have the pressure washer pump AR RMV2.5G30D ¾-inch shaft. This pump is designed to fit a Subaru motor along with other traditional pressure washers most homeowners have. If you want to save yourself from buying a new pressure washer, you should consider this product. When it comes to installation, all you need to do is to take four bolts out, take off the hose fitting and install the AR pump using a thread tape. Re-install the four bolts, and you’re done. The entire installation process would only take about 20 minutes of your time. 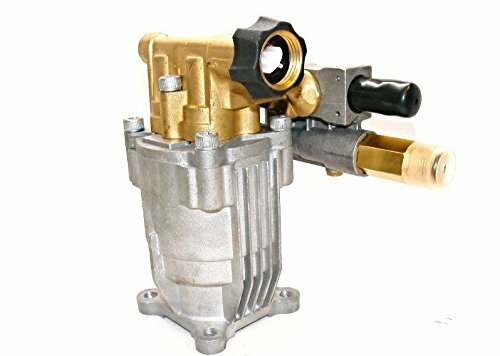 If you liked the Homelite pressure washer pump we’ve reviewed earlier, you would also like their vertical pressure washer pump replacement. 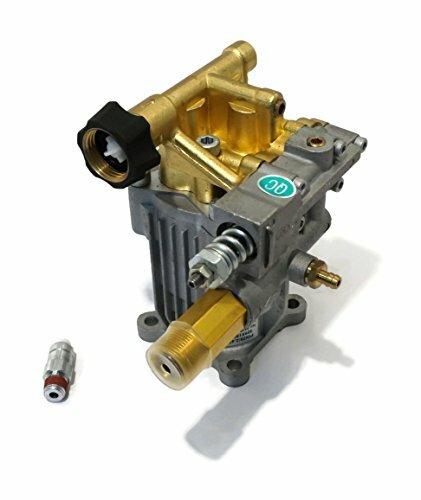 This genuine OEM replacement pump is compatible with most brands including Homelite, Ryobi Pressure Washers, and Husky. At 2700 PSI, it has 2.4 gpm for optimal convenience. Installing the new pump is a breeze. It would only take a few minutes of your time, and your pressure washer is ready to use. The unloader valves are all re-installed. Rest assured that the unit is also oiled and ready for installation. Note that the package does not include the thermal release valve. 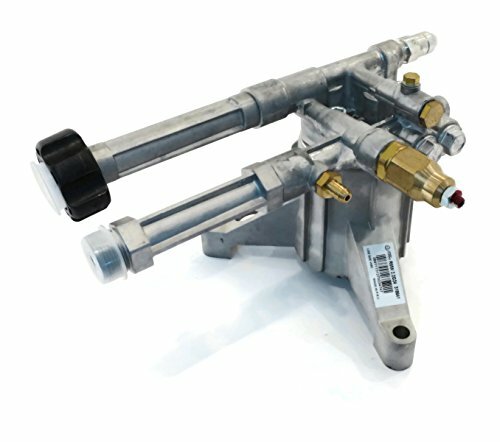 Allow us to introduce this pump kit for pressure washers from Briggs & Stratton. This genuine Briggs and Stratton part is everything you need to bring your old pressure washer back to life. 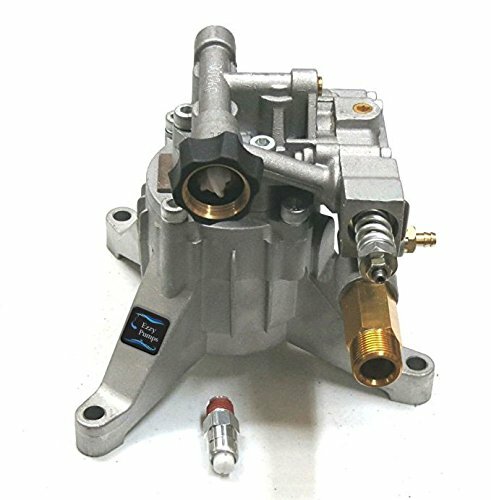 This pump is compatible with most pressure washers including a Honda engine. When it comes to installation, similar to other products, it’s also easy to replace. Thanks to its robust construction, rest assured that this pump can serve you for many years to come. All of the abovementioned features at an affordable price, you can save yourself from buying a new pressure washer or the expensive replacement in most shops. For our last product, we have the Himore 3000 PSI pressure washer horizontal pump. This genuine OEM part is an excellent alternative to buying a brand new pressure washer. The installation is quick and easy. 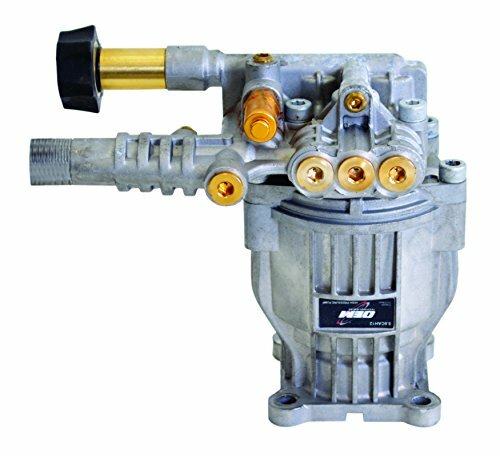 This pump is designed to boost the pressure and is compatible with most pressure washers that homeowners have. Compact and reliable, this pump can serve your household for many years to come. You don’t have to burn a hole in your pocket to have a genuine and premium quality pump for your broken pressure washer.